A low-flying plane near Jupiter High School turned heads yesterday and has people talking. People in one Jupiter neighborhood want answers after a large plane was caught flying low. "I couldn't think of a reason why it would be that low," Bob Campani said. All eyes were on the large plane flying low and circling around this neighborhood near Jupiter High School, Monday afternoon. "We didn't know if it was crashing or what was going on so we were just kind of standing out here watching it," resident Taylor Thomson said. After people called in reporting the low-flying plane, Jupiter police posted a message on Twitter. Many Jupiter residents may have seen or heard a low-flying aircraft over Town today. 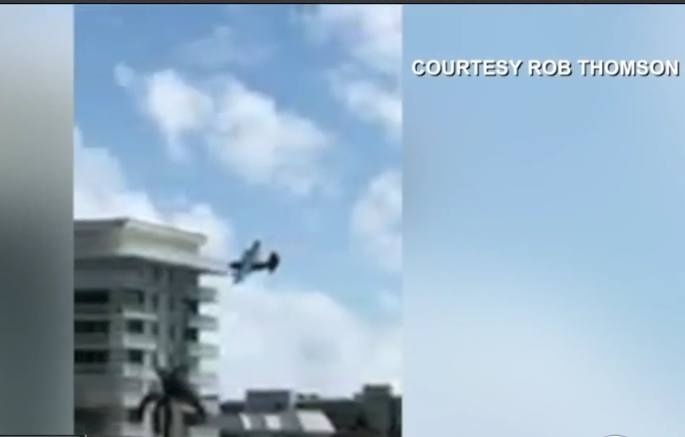 There is no danger, and Jupiter Police are in contact with the FAA over this issue. "There is no danger,and Jupiter Police are in contact with the FAA over this issue," it read. "We were scared it was shaking our windows and you could hear the roof making a movement," Thomson said. The Federal Aviation Administration said it was a C-130 military plane, but said they were not providing air traffic control services for it. According to the FAA an aircraft should not be flying closer than 500 feet to any person, vessel, vehicle, or structure unless there are special circumstances. "It would be interesting to know what the reason was but I'm not losing any sleep over it," Campani said. WPTV reached out to the U.S. Air Force a spokesperson said without identification numbers it would be difficult to determine if the plane was one of theirs.